Anxiety turned my sweet dog into Cujo. Here’s how we got her back! Could two dogs look happier? Thundershirts get the job done! Ahhh… at last… something that tastes like chkcken! Let me tell you a story. Once upon a time… long before I had human children… Pluto was my only child. Just look at her gorgeous fluffy self. What a smile! Yes, she totally charmed us. She was the inspiration for Waggle. And she came everywhere with us. As surely as I was going somewhere, so was she. Things flowed like this for a while in perfect harmony. But then something changed. Slowly at first. There were some places Pluto couldn’t go. She tried to accept this, but in Pluto’s mind we did EVERYTHING together as a pack. This. Did. Not. Make. Sense. Over time Pluto deveolped some behaviours. Before we left the house she paced around nervously and looked seriously distressed. I don’t know how, but within less time than you could throw a stick, Pluto’s separation anxiety snowballed. Say we were leaving to go to the supermarket and she knew she could not come. Pluto would growl and bark in a complete panic and launch herself at us with teeth barred. Like she would rather take us down than let us leave. Mind you this was a sweet dog who took took treats gently from our hands like a little chocolate lamb. We had to close the door behind us with her still hurtling herself at it wildly from the other side. Yes, Pluto had effectively transformed into Cujo. Yes, the sweetest, most lovable dog on the planet. And yes, it was actually terrifying and upsetting. Unfortunately I didn’t know then what I know now about canine anxiety. I had no tools to work with. Luckily after a lot of all round suffering we accidentally stumbled upon something that worked. When Pluto’s anxiety escalated like a wild pressure cooker, she needed a release. We found if we just opened the door and let her burst out of the house we could retrieve her back and she would be much less reactive to our departure. I don’t know if this solution would work for anyone else, and it could be dangerous if your house stems onto a high traffic situtation, but this is what saved us in the end. Cujo gradually morphed back into our sweet Pluto under our tender love and care. 8 years have passed. We still let her burst out the door on occasion. But mostly she is calm. She certainly never barks or growls or attacks anyone. But if she looks uneasy with our departure we often let her do a stress busting lap to the car and back. Hallelujah! We now have heaps of tools to help dogs deal with anxiety. 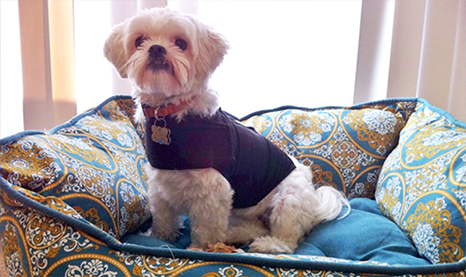 The THUNDERSHIRT and the ZEN DOG CALMING SHIRT relieve anxiety in over 80% of dogs. It’s quite astounding what a difference they can make immediately. These shirts work on the basis of compression. 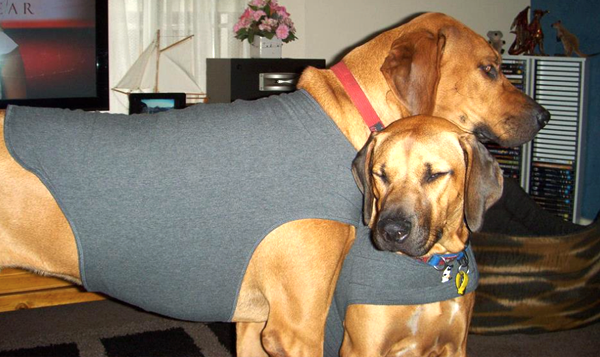 Whoever came up with the idea of giving anxious dogs a shirt that gives them a full body hug is a genius! Who said dogs don’t like hugs? It’s safe. It’s drug free. It’s a pretty low investment for the peace of mind you and your dog get out of it. And IT WORKS! For super warm climates I’d recommend going with the Zen Dog Calming Shirt as it’s made of a lighter material. In any case both can be wet down while wearing so they operate as an evaporative cooling shirt at the same time. Be sure to introduce your dog to the compression shirt under positive conditions so there is no fear associated with it. Try putting some treats on the shirt and letting your dog snack off it first. Or put it on right before play time. 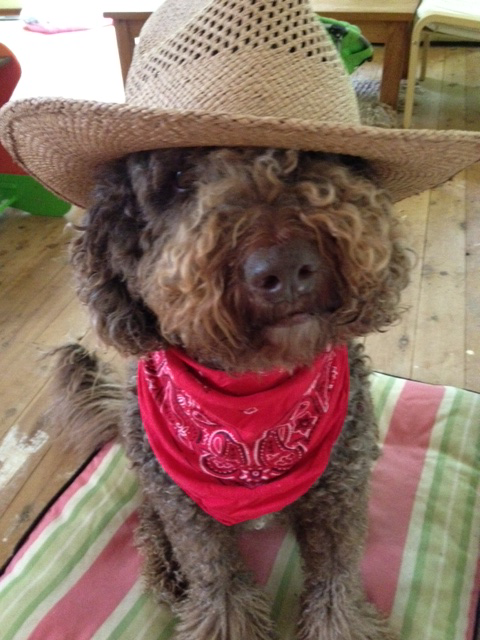 You don’t want your dog to have any negative associations with putting the shirt on, so be sure to start at a happy moment. Once your dog is conditioned to experience happy times in the shirt you can put it on before an anxiety provoking situation. 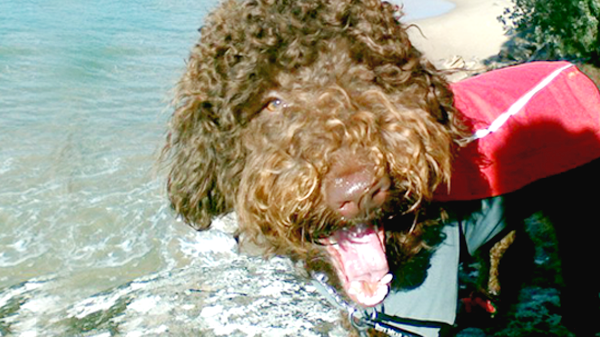 Chances are your dog will feel bolstered by a much greater sense of calm. 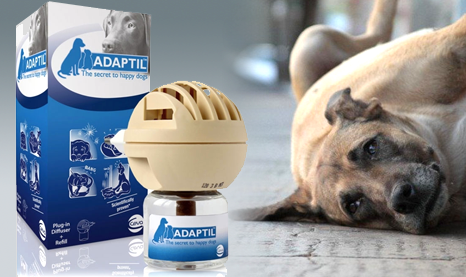 ADAPTIL is a synthetic copy of a natural comforting phermone mother dogs make when nursing their young and it can be very soothing for canines. Effectiveness has been proven. Like the Thundershirt Adaptil works on a large percentage of dogs. Different options work better for each individual dog when it comes to anxiety, but every option is definitely worth a go. If your dog has a shortage of these vital health ingredients your dog may be having an issue with body chemistry. 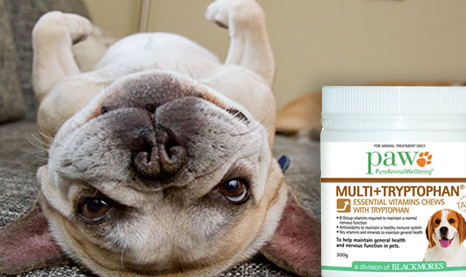 The MULTI + TRYPTOPHAN ESSENTIAL VITAMIN CHEWS improve general health & wellbeing for dogs including boosting normal nervous system function, providing antioxidants to maintain the immune system as well as additional tryptophan for positive balanced health. If these options do not relieve your mate’s anxiety please seek additional help! Living with anxiety as a dog is incredibly debilitating. Those of us who have suffered from anxiety can certainly relate. And those of us with anxious dogs can experience huge quality of life improvements from sorting this anxiety out. 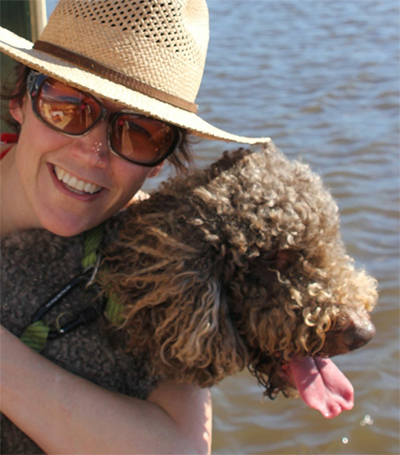 A good animal behaviouralist or a reputable animal naturopath could really provide some insight and solutions to your dog’s issues. If you need help finding a good practitioner just pop me an email at zoe@waggle.com.au and I’ll do my best to network and help get you sorted. Hope you & your pack are feeling waggly! March 11, 2017 | Filed under Canine Anxiety, Canine Health, Uncategorized.